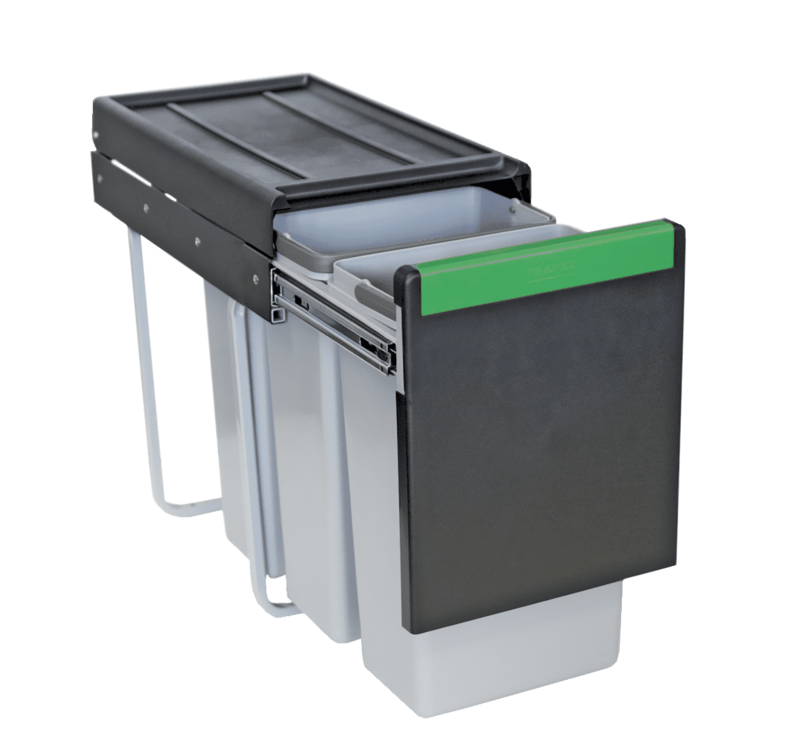 Carron Phoenix waste sorter bins can be fitted easily into a kitchen cabinet and will help you to effectively segregate your waste prior to collection. We have a range of configurations to choose from, depending on your Local Authority requirements, all featuring removable bin inserts and covers to help contain odours. 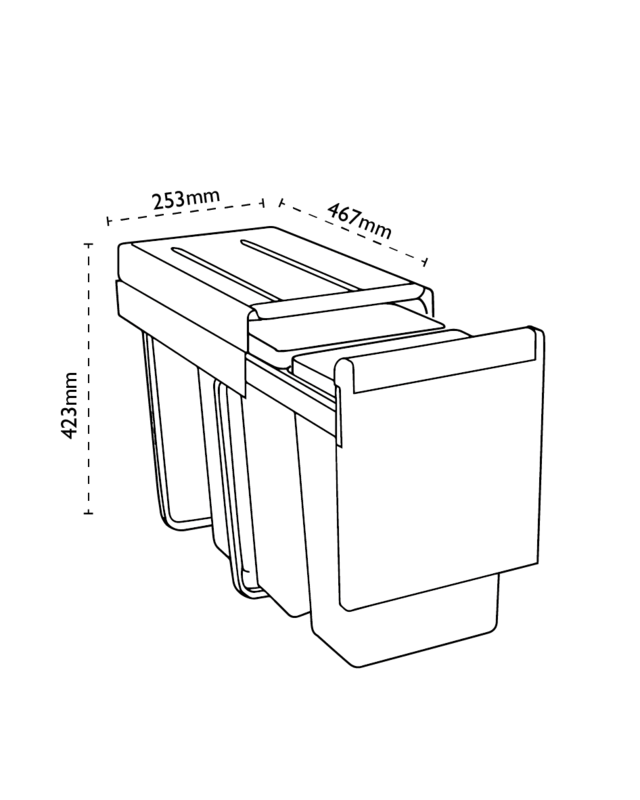 Triple bin configuration totalling 30 litres, Linea 330 is a slim unit which will fit into a 300mm cabinet. Suitable for separating light household waste, this unit has a manual pull out operation and is easily installed.